Creating a stairway gallery wall is often seen as a challenging project. 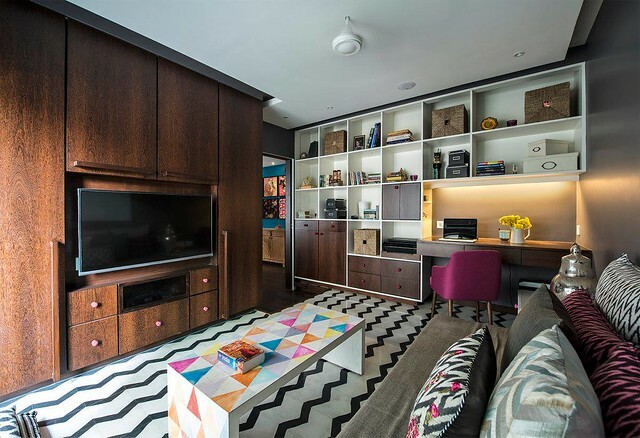 The angled, small space makes it tricky, and there’s a risk of things go badly wrong at the slightest mishap. Daunted by these thoughts, many people choose to shy away from this task. 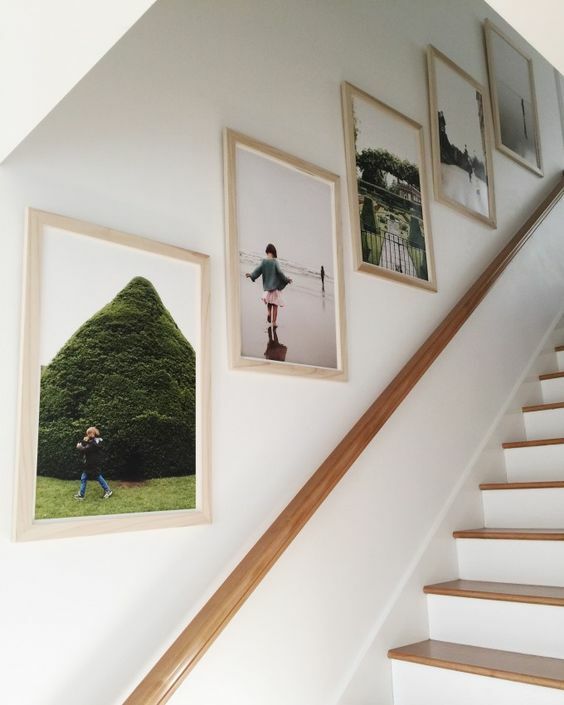 You may not believe it, but creating a stairway gallery wall is actually pretty easy once you know the tricks. 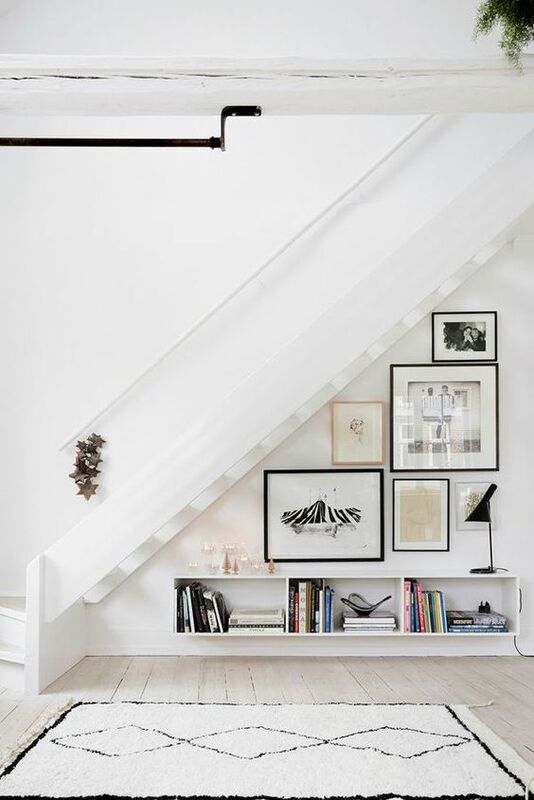 So here are our top tips for creating a stairway gallery wall. This seems like an obvious thing to do, but people often compromise personal pieces for things that solely serve as decorative pieces. Put things that mean something for you, from your favorite quotes, artwork, or family photos. Turning your something personal into decorative pieces is something that’s not only easy but also worth it. 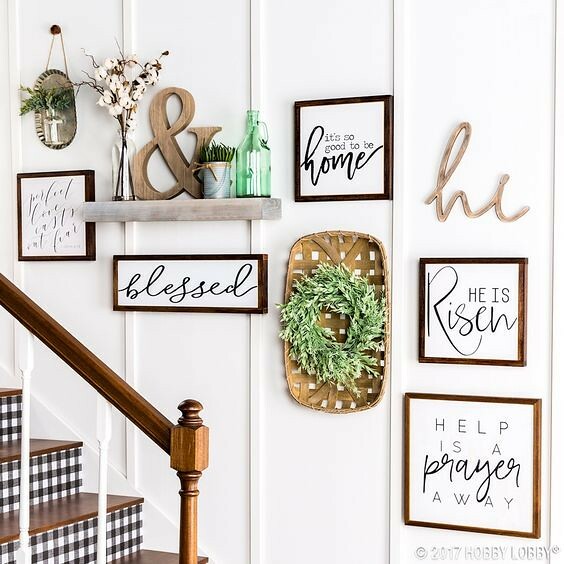 From using brush-lettering for your favorite quotes to canvas printing for your photos, you only need a little bit of creativity to come up with endless possibilities. 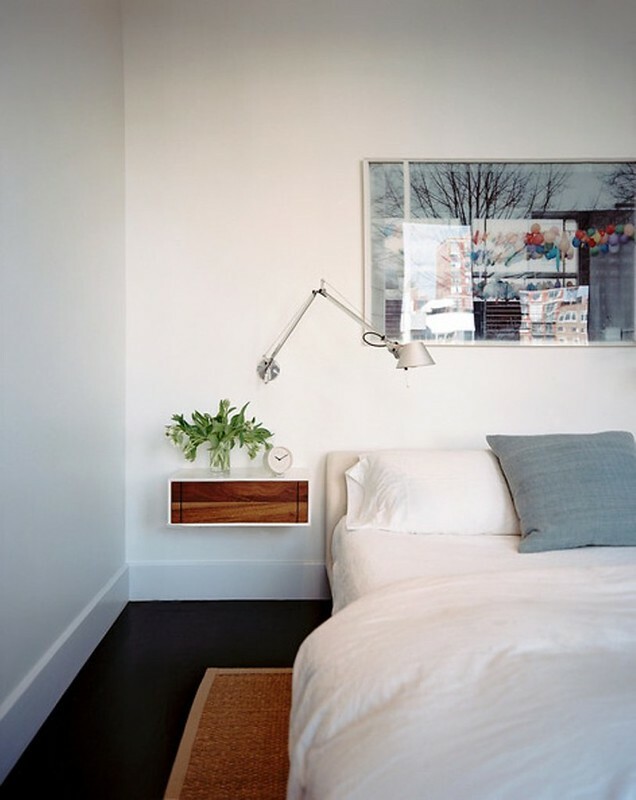 Use objects with different sizes to hang, as it will improve the whole look of the gallery wall. You can even use different shapes, so don’t feel like you need to stick to rectangular or square wall art! Having variations can help keeping your wall look balanced. Depending on the space you’ve got, have 2-3 big pieces to use as focal points, and work the smaller pieces around it. These large wall art should be the first one to be decided before you move on to the smaller pieces. When arranging the pieces, start with placing the large wall art in the center, and work the smaller objects around these. 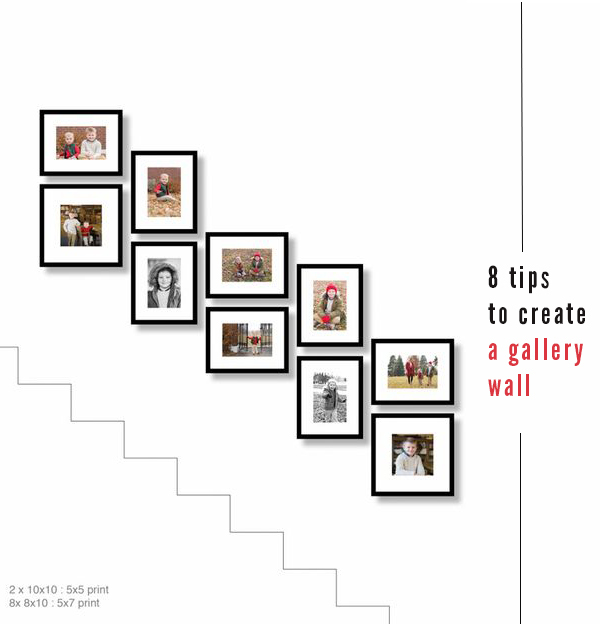 Careful planning is the most important part in creating a stairway gallery idea. 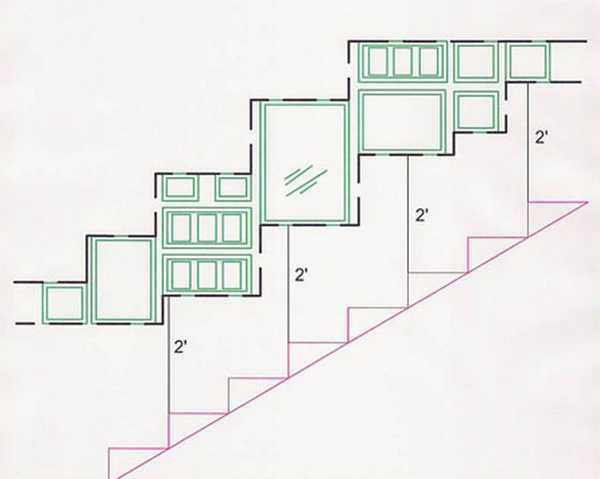 Before you start hanging the wall art on the wall, plan the layout carefully. Measure the height and width of your wall to avoid any miscalculation, then arrange your objects to fit in the dimensions, following the upward angle of the stairs. Lay everything out on the floor, and move things around until you have a balanced arrangement. Once you’re satisfied with your arrangement, take a photo of it for your reference when you start hanging them on the wall. With different sizes of things on your gallery wall, make sure you keep 2-3 inches of consistent, even gaps between them to avoid the wall looking crammed. Equally important is to keep 6-10 inches of blank space on the bottom, as you don’t want your wall art to get accidentally kicked when someone is walking up/down the stairs. Having objects with different sizes can easily make a wall look messy. To avoid this, stick to similar colors when choosing frames, or similar styles for other objects, like canvas prints. You can also use a theme to create a cohesive look. If you’re going with a rustic look, for example, choose frames that accommodate this theme (yes, all frames!). Here’s a list of gallery wall ideas for some inspiration. Having a cohesive look for your gallery wall is important, but you don’t have to use similar pieces for the whole wall. Give it a bit of a twist with unique pieces to liven the wall up! The fun thing is, you can be as creative as you’d like with this. Treat it as ‘accessories’ that you can use for complete the look, without taking the focus away from the gallery wall as a whole. Mirrors, initials, or more edgy pieces like quirky paintings, let your personality shine with these unique objects. Just make sure that these pieces are within your color palette, as you still want the gallery wall to look cohesive. And finally, once you’ve arranged it on the wall, use museum putty to avoid shifting. A stairway wall is prone to movement with people going up and down the stairs, so make sure you keep them held securely, especially if you have active kids. 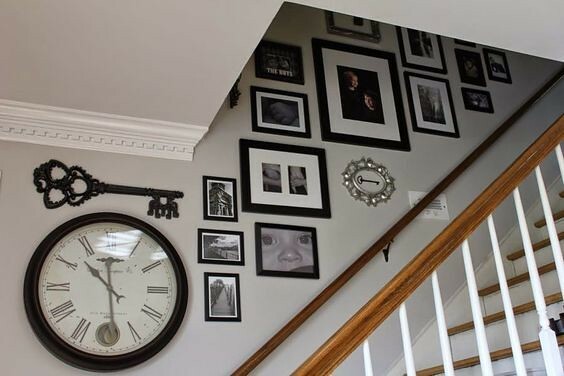 Hope these tips can help you create a stunning stairway gallery wall! 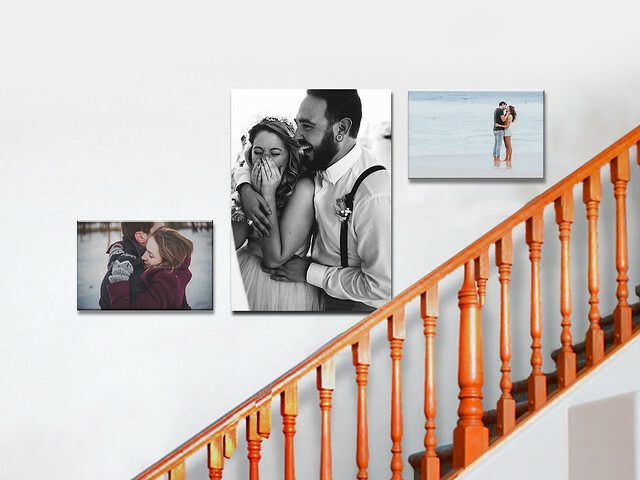 If you’d like to hang personalized pieces on your wall, Photojaanic can help you with creating wall art that could brighten up your home.